Rogue Audio components’ ruggedly constructed chassis are built around high-value tube circuit topology and well-engineered circuit layouts. The result is Rogue’s singular signature Sound. The integrity of the audio signal path, combined with quality power supplies, results in designs that are as sonically sound as they are durable. You will delight in the impeccable fidelity of recordings reproduced through Rogue Audio amplifiers. 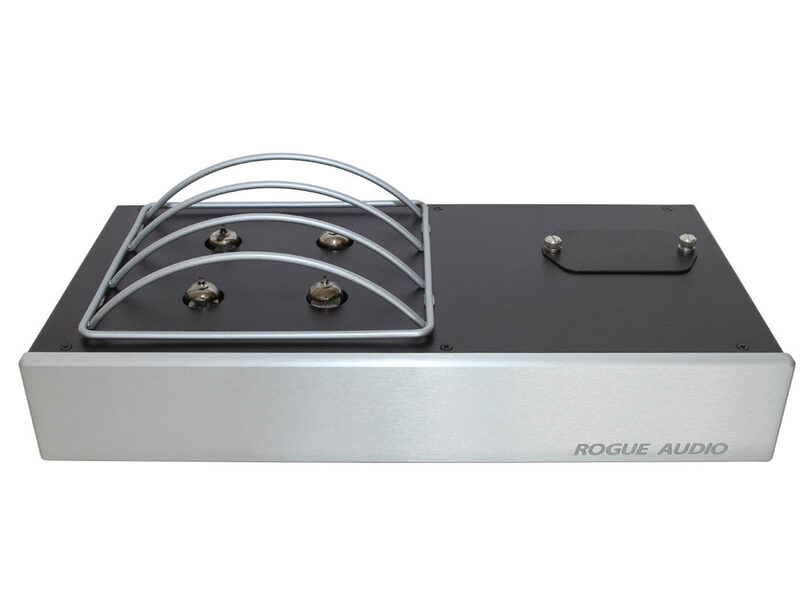 Rogue believes a well-performing amplifier should look the part, as well. From the heavy aluminum faceplates and knobs to the gold-plated connectors in the rear, Rogue amplifiers please the eye as well as the ear. The brainchild of world class industrial designers, Rogue Audio’s sophisticated styling and clean lines make for a welcome presence in your home. High-end amplifiers often command stratospheric prices. Rogue was founded on the belief that great amplifiers can be designed and manufactured at affordable prices. Rogue’s amplifiers are engineered using a quality-by-design philosophy, and every one of their components is hand assembled and tested by highly skilled technicians and engineers. The confidence Rogue has in its products is evidenced by a generous warranty that is certain to please today’s quality-conscious consumer. Hear Rogue at Command Performance today!